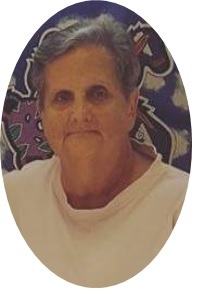 Patricia A. Stanley, age 62, of Alton, died Sunday, Nov. 26, 2917, at her residence. She was born Dec. 12, 1954, in St. Louis, the daughter of the late Walter and Ruby Lambert Bratten. She married Ronald Stanley on Oct. 5, 1979, in Edwardsville. He preceded her in death. She is survived by one daughter: Angelica, and husband Christopher, Rolves of Lebanon; sisters : Bonny (Donald Ladd) Bratten of Edwardsville; brother: Michael (Barbara) Bratten of Troy; grandson: Alexander Recklein of Lebanon and other extended family members, uncles, aunts and cousins. Visitation will be from 5 p.m. to 7 p.m. Thursday, Nov. 30, at Saksa Mateer Funeral Home in Edwardsville. Funeral services will be at 1 p.m. on Friday, Dec. 1, at the funeral home with Rev. Troy Benton officiating. Interment will be in Liberty Prairie Cemetery in Edwardsville. Memorials are suggested to the American Diabetes Association or Team Red of ADA Tour DeCure.